Custom made decorative screens at affordable prices. 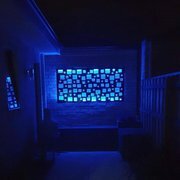 Gardenscreening.com.au offers decorative screens and laser cut screens, made in Perth, Australia. Call: 0403 412 134. For more info :. Hydroponic Xpress is one of the leading resources for hydroponics and aquaponics. Hydroponic and aquaponics is the outstanding gardening ways for improving the efficiency. Visit our website for more details!. Bathroom Gallery is an online renowned bathroom showroom in Perth, having a wide range of bathroom accessories at a nominal price. It has a warehouse of Products with different brands giving customers a large variety of accessories and creates a stable interest with the store. Bathroom Gallery has unique and beautiful designs of basins and cabinets which give a luxurious look to the Bathroom. Add style and functionality to your bathroom with the classy vanities at Bathroom Galleries. 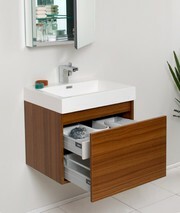 Choose from a wide and modern variety of great styles and finished vanities and style up your bathroom in a new way. For more inquiry call us at 08 9341 1606 and visit: http://bathroomgallery.com.au. 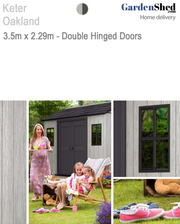 You could currently have a garage or shed in your garden or backyard and also its practical that you haven't also taken into account the possibility of adding a garden sheds at all. Any kind of kind of yard implements can conveniently be kept in the garage or power area. Nevertheless, a yard shed is a great deal greater than just a daily storage location, as it can have an individuality all its very own. Super Blinds Mart specialises in offering a wide range of blinds and curtains including high quality Venetian blinds, roller blinds, Roman blinds and eyelet curtains throughout Australia. Buying blinds online at our store gives you an edge of comparison that no other store can offer. Visit https://www. The Plumbing and Gas guys providing affordable grease trap installation and repair in Perth, We offer all kinds of repair and installation work for your grease trap. You can just give us a call, and we will help you in solving it. We function in a professional manner and have the best people working with us who will facilitate quick repairing and installation of grease traps. WA Bathroom Renovations was established over 25 years ago by a family of Perth craftsmen who were passionate about integrating quality and beauty into every facet of everyday life. It wasn’t long before the family business focused on high quality bathroom designs with distinctive style and finish. For more information, Visit our website : http://www. SouthCity Landscaping is a Perth landscaping company committed to quality and excellence. Our services include paving, limestone wall construction, artificial grass, decking and travertine paving. Visit - https://southcitylandscaping.com.au/artificial-grass-perth/ Address 9 Clint Way Calista, WA 6167 Ph 405398267 ABN 18922748876. SouthCity Landscaping is a Perth landscaping company committed to quality and excellence. Our services include paving, limestone wall construction, artificial grass, decking and travertine paving. Visit - https://www.southcitylandscaping.com.au/ Address 9 Clint Way Calista, WA 6167 Ph 405398267 ABN 18922748876. Perth Mattress Innovations hand-assemble and custom-make our products at our facility in Western Australia. Our high quality mattresses are designed and manufactured especially for your comfort needs with all of our materials and components 100% assembled in Perth. To learn more, visit http://perthmattressinnovations. Rural Fencing & Irrigation Supplies in Perth offers high quality electric fencing, shadecloth, bird netting, aviary mesh, plywood, irrigation supplies, water pumps and much more. We carry a wide range of Australian made rural fencing including horse fence, dog fence and vermin proof fence. Visit http://www. Chaise Sofas are the best online sofa store in Perth. Where we offer quality sofas, modular sofas, chaise lounge sofa, modular sofa bed, linen sofa bed at affordable discount prices..
Super Blinds Mart offers high quality custom blinds, ready-made blinds and curtains throughout Australia. We specialise in a range of blinds and curtains including Venetian blinds, Roller blinds, Roman blinds and Eyelet curtains. When you buy blinds online from us, you can be rest assured that you will get the high quality, durable blinds at a cheap price. Chaise Sofas are the best online sofa store in Perth. Where we offer quality sofas, Corner couches, Sofa Beds, Lounges Suites at affordable discount prices.. Rural Fencing & Irrigation Supplies is committed to provide our clients with a wide range of automatic gates in Perth at affordable prices. Our products are durable, reliable, and easily serviceable. At the same time, they flatter the face of your property be it the entrance, driveway or garden. It’s evident in different parts of Perth and beyond. Having trouble finding landscaping ideas in Perth? Revell Landscaping can help. With a long list of satisfied customers, Revell Landscaping has proven time and again that they excel in working with customers to realise their landscaping design dreams. Call today on 08 9379 9686 or http://revell.com.au/landscaping-ideas/. We are Perth's top Patio installation provider. We are Master Builders Members, have 17 years industry experience, can provide Interest FREE Finance, bonuses for fast decision makers, and can give a 10 Year written warranty. For peace of mind, hire one of our expert design consultants, we're not just builders. Insul Fibre offers a full range products - Supply Only or Installed or delivered to site... Thermal , Acoustic, Batts, Insulation Panel, Cavity Brick Insulation, for Commercial and Residential projects, Concrete Tilt Panel, Insulation, under floor and Cavity Brick Wall Panels.Ceiling insulation Earthwool, Polyester, loose fill for. This medium size stand is perfect for trees up to 2.0m i.e 7ft and trunks up to 15 cm diameter. It holds almost 3 liters of water to keep your tree fresh. Features: • Perfect for trees • Simple to install • Large water capacity to keep trees fresh & safe • Stability • Strong nature PHONE: 08 9250 4839 Online Order Click http://www. 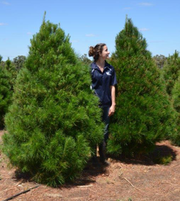 Swan Valley Christmas Trees offer Perth's freshest Christmas Trees. Enjoy a day out in the Swan Valley, and select your own tree from the large range on our farm, or take a pre-cut tree We sale only: Real Christmas trees Service: home delivery Buying Options: Online Services: Cut Christmas Tree Choose from: Christmas trees farm Swan Valley Christmas Trees 143C Wilson Rd (East), Middle Swan, WA, PHONE: 08 9250 4839 Online Order Click http://www. Swan Valley Christmas Trees offer Perth's freshest Christmas Trees. Enjoy a day out in the Swan Valley, and select your own tree from the large range on our farm, or take a pre-cut tree We sale only : Real Christmas trees Service : home delivery Buying Options : Online Services : Cut Christmas Tree Choose from : Christmas trees farm Swan Valley Christmas Trees 143C Wilson Rd (East), Middle Swan, WA, 6056 0402-816-735 http://www. As a family owned business, Sola Shade in Perth specialises in both supply and installation of superior quality blinds and shutters, perfect awnings, stunning indoor and outdoor blinds and more. With decades of service Sola Shade is available 6 days a week and offers free, no obligation measure and quote. Shop Blinds Online! FREE Shipping! Blinds365 offers custom & readymade blinds and curtains of superior quality at competitive prices. Visit us on https://www.blinds365.com.au/ and subscribe to get more alerts. Contact us: 96 Frobisher Street, Osborne Park, Perth, Western Australia, Australia, 6017. Australia’s most affordable shutters and shades. At Sola Shades, we offer top quality shutters and rollers that are manufactured to best meet Australia’s climatic conditions. We have a huge range of products and fabrics that can easily suit the style of your space. Call us at (08) 9389 1003 now to get at FREE measure and quote or visit http://www. You must be searching for enviro friendly pest control services for your home. We are one of the best pest control company in Perth. We can provide you the best solution. For more information please visit http://www.enviropestcontrol.com.au/. You must be searching for kids and pets friendly pest control services for your home. While our aim is to take care of your home by making it insect free, We manage harmful insect activities at a low cost to prevent the habitats from many rodent borne diseases. We helps our people to serve you always better than before. We custom make child safety nets, leaf & debris covers & solar blankets to suit peoples pools or ponds, call now (08) 9335 6986..
WA Based Amazon Soils supplies landscapers, local government, land developers and soil yards with high quality soils, mulches, potting mixes and composts. http://www.amazonsoils.com.au/. Home, garden Perth ads Perth, Home, garden classifieds Perth, Home, garden free ads Perth, ads for sale Perth, ads to buy Perth, FREEADSAustralia Page number 2-1. Find here ads for sale, to buy and rent in Perth. Goods for sale in Perth, vehicles for sale in Perth, Perth real estate for sale, Perth property for sale, property for rent in Perth, business ads in Perth, Perth business classifieds, services in Perth, Perth services ads, jobs in Perth, pets for sale in Perth, Perth dating, Perth cars for sale.